Since as far as I can remember, I recall that I never knew what actually happened inside our dry cleaner’s store. The blank thought of what follows soon after our clothes were pushed over the counter, to the eager strangers who lived at a tiny blue and white store named “Shine N Bright” located down our neighboring road, reminds me that the answer remained colorless for this long due to procrastination of inquiry than due to difficulty of question. I knew who he was, but never knew how he did it. He was small-made and ever-smiling, with a side part of jet black dry hair. The shop, always, smelt a bit too clean, as if it had frolicked a little too much in a mountain of freshly washed towels before my father came to its front counter. As he would feel out and take our clothes from the bag, one by one, from behind him I’d feel it coming. It was this slow movement in the air that kept subtly greeting you, coming from the back and carefully making its way to the front. It wasn’t a breeze; a breeze you could recognize from its soothing feel. It was more like a wave of air, almost a moving heat wave, only heatless and sharply pleasant, similar to a whiff of Febreze. The clothes were then counted, labeled and bagged. The cash came out, and the register went “ting”. Soon after, we’d leave without a second glance, entrusting our cottons and linens to him. When the car door would shut I’d sometimes look back at the quaint establishment, stripped in its bold blues and whites. For a fraction of a millisecond, the question would pop up: “What do they do in there?” And before I can pounce on it, the wheels would turn to roll me away, the thought dissolving, unanswered. Their secret—my best guess. French dye-works owner Jean Baptiste Jolly observed his table cloth turning ultra super clean one day, upon his maid clumsily knocking over the home’s kerosene lamp on it. Now this was in 1855. 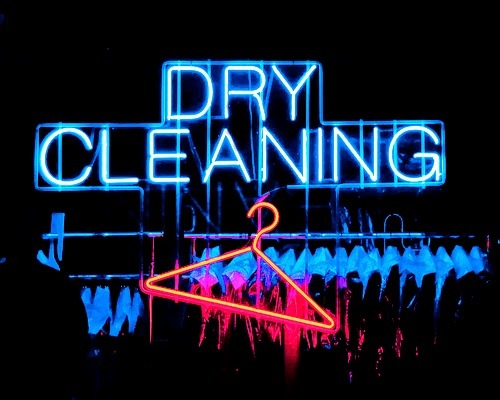 Rumor has it that it was then that modern day “dry cleaning” was birthed into the world. Historically, the Romans used ammonia (derived from urine) and fuller’s earth (a type of clay) for their cleaning purposes—which was a no-go for the rest of us at the time. It turns out that dry cleaning is the cleaning of clothes without water. 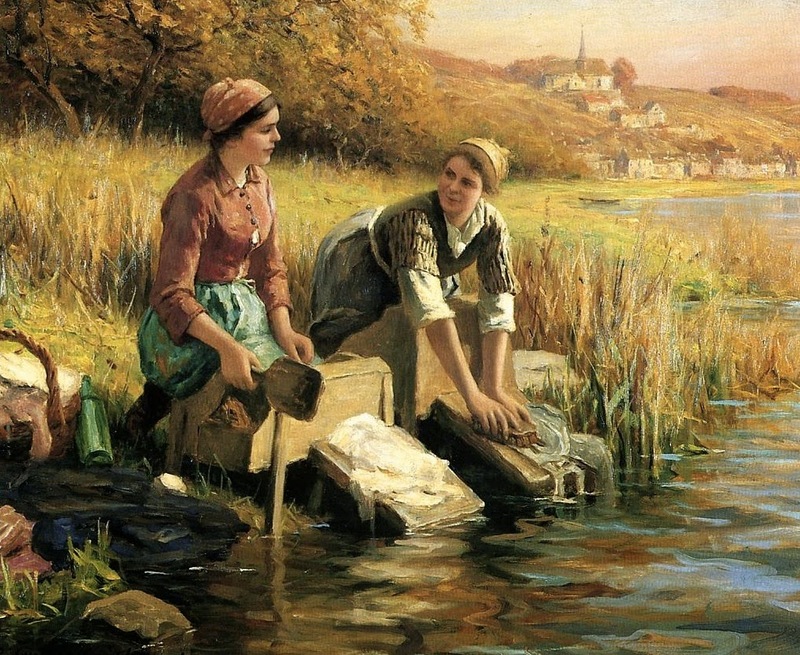 Normal washing, like at home (laundering), involves water, force, and soap/alkali to clean your materials by ridding them of dirt. The Alkali in the soap saponifies (converts a substance—usually fat, into soap), and then dislodges that dirt. The “soapy agent holds soil in suspension as it [dirt] becomes loose during the wash cycle, and is subsequently flushed away during the rinse cycle and centrifugal spin” (Luhring, 2000). As you might assume, this type of washing is most effective for water-based stains. Now yours and my dry cleaner, on the other hand, use a different fluid to clean. Since that fluid is not water the process is called “dry”. As from the Parisian story above, it began with kerosene and gasoline. Their flammable nature, however, led to many tragic dry-cleaning incidents through the early 20th century. This gave way to carbon tetrachloride and trichloroethylene being modified into a more familiar solution known today as tetrachloroethylene (perchloroethylene), or “perc”. A nonflammable, synthetic solvent, Perc soon became the go-to product of the industry—especially for clothes too delicate for laundering. The density of Perc makes it 70% heavier than water, and unlike alkali the solution dislodges oil-based stains. Basically, water combats “wet stains (a stain that had water in it)” while a solvent combats “dry stains (a stain that has grease or oil in it)” (Luhring, 2000). Some research finds that Perc might actually be a carcinogen (a substance that is directly involved in causing cancer), but dry-cleaning usually gets rid of most of the perc in clothing during the spin cycle (hopefully, for our sake); I guess maybe don’t dry clean too much? Movement has been made to more non-toxic and environmentally friendly solutions such as GreenEarth, but this is still in the process gaining traction. After you leave they take your clothes to tag and sort. This helps identify the owner, and categorize how the garment will be treated. 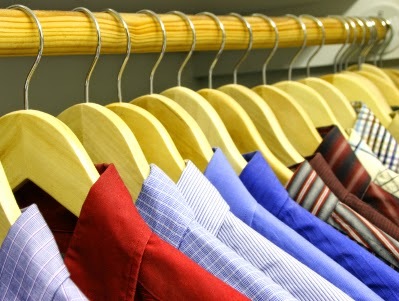 If you’ve noticed the multi-colored tags punched into your dry cleaned clothes, this is why. After this, they usually pre-treat your clothing. Pre-cleaning varies from scrubbing stains out to solvent-blotting them to make the dry-cleaning easier. Then comes the dumping of clothes into the mammoth drycleaning machine(s). This beast of a machine has an accelerating basket that does 350-450 rounds per minute (rpm) and can hold anywhere from 20 to 100 lbs of clothing. The basket inside is perforated, and clothes are sprayed with 200 gallons of solvent for a typical 8 minute cycle. New machines also filter the solvent for reuse. The rigorous spraying inside the machine is the force that provides the cleaning action, like when someone smacks your clothes against a wet rock by the river (who does that? Some people I know). The holes in the basket allow the solvent to circulate through its own cleansing cycles, and impurities are captured in the machine through micro holding tanks that use filters, and I assume, nets. Once the cycle is complete, staff will do a post-inspection of the clothing (or they should). If it passes their quality control process, the garments are then sent for “finishing”. 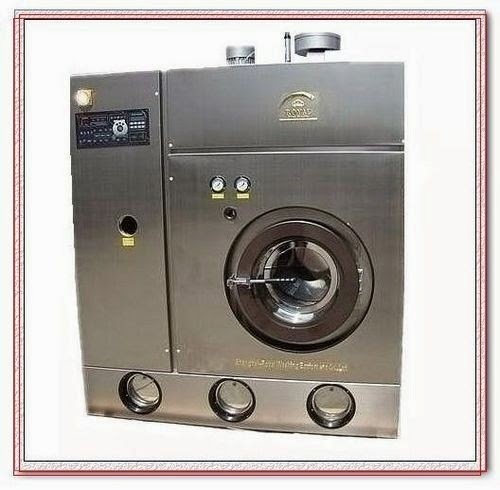 Like a used car that goes through detailing at your local car dealer, your clothes go through a process of finishing. Here they are steamed, pressed and/or ironed to perfection and left ready for pickup. Finishing may be done with water, steam, air and even vacuum (Luhring, 2000). Well, that’s the secret folks: Perc and a crazy violent machine that makes your own machine at home look like a sissy. If you want greater detail about the process to satisfy your thirst for knowledge, I’d encourage you to read some of the citations below. Until then, next time you handover those clothes to your dry cleaner down the lane, give them a knowing wink. They might think you mad, but you would be mad not to—now that you “kinda” know. Adieu. 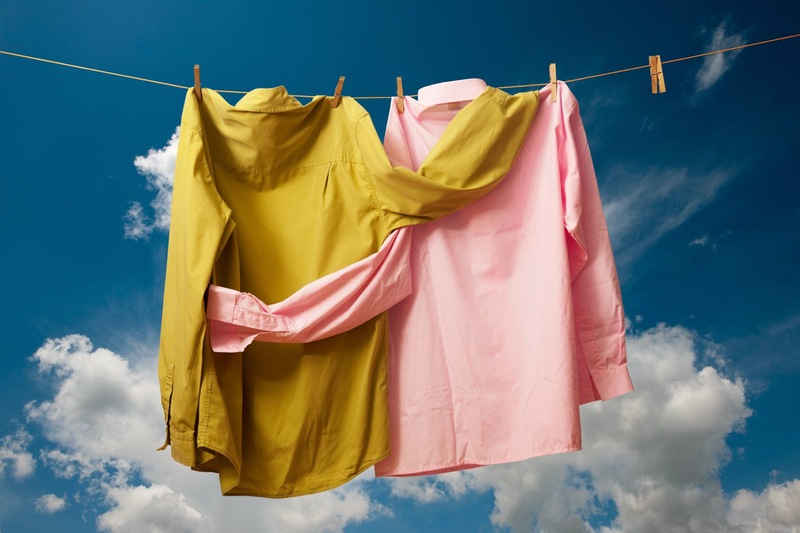 “Drycleaning & Laundry Institute.” What Is Drycleaning? N.p., n.d. Web. 05 May 2014. Luhring, Debra, and Nate Marks. “How Dry Cleaning Works” 01 April 2000. HowStuffWorks.com. 05 May 2014.